ProDetec announces the availability of a new range of laser-based line-of-sight CO2 gas detectors. The new GD1-CO2 gas detectors are designed with features that provide an effective response to the detection of carbon dioxide (CO2) toxic gases. Using a tuneable laser diode, the Simtronics open path toxic gas detectors can be used in onshore or offshore locations and are particularly suitable for the detection of carbon dioxide in carbon capture and storage (CCS) applications as well as places where CO2 is used for enhanced oil recovery (EOR). At the heart of these line-of-sight gas detectors is a tuneable laser diode that eliminates environmental effects from sun, rain or fog. The laser scans a single absorption line where there is no interference from other gases. Simtronics GD1 open path CO2 gas detectors are supplied with IECEX, ATEX and other approvals. 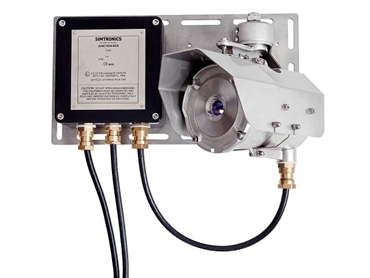 These laser gas detectors are suitable for use in systems with SIL2 requirements.